Why Fix by Five Months? If you cannot find local assistance on this listing please contact 1-800-248-SPAY. 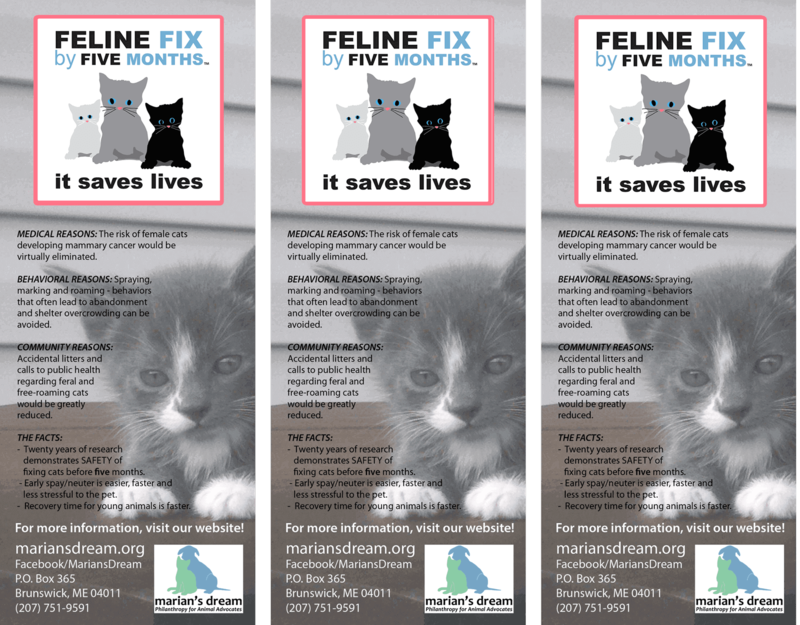 One-minute video: Fix Felines by Five! Feel free to share this video everywhere to raise awareness of how young cats are when they first go into heat – four months! Sample radio public service announcement in Maine. We can send you text and help you create your own p.s.a. Sample cat adoption ad with Maine humorist Tim Sample. We can help you create your own ads for your area. We create and support programs to end pet overpopulation by preventing unwanted litters.